Lynn Rogers is a former high school biology and Spanish teacher. She is a Washington County Master Gardener, a garden writer and a singer in her church choir. She is a proponent of organic gardening and is a plant collector. Portraits of outstanding fall-blooming plants. 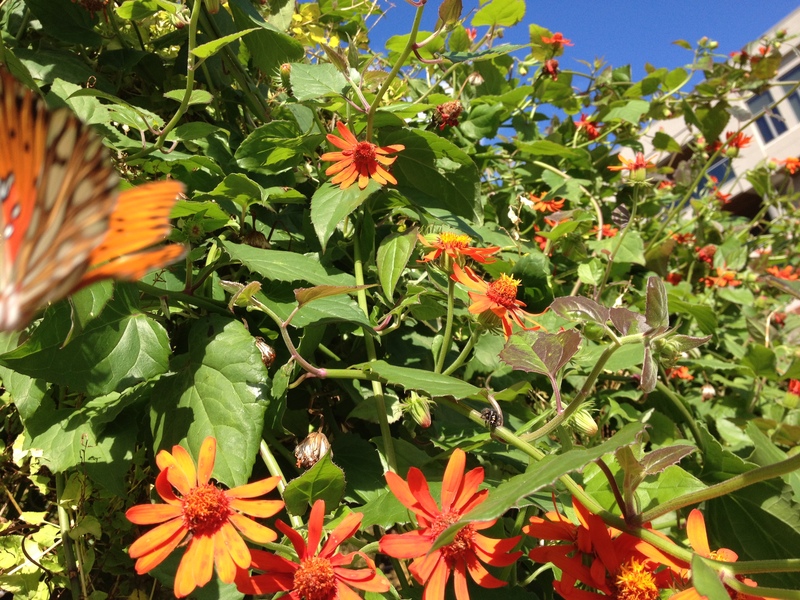 Cooler temps give relief to plants and gardeners. After the wedding, I’ve returned to the garden. A recent afternoon stroll around the Square yielded some wonderful photos of plants combinations. Also, a black-leafed ornamental pepper really caught my eye, so I’ll have to have ‘Black Pearl’ for my garden. It will have to be grown as an annual. Their use of the flame flower vine, Senecio confusus, was so beautiful. Enjoy! 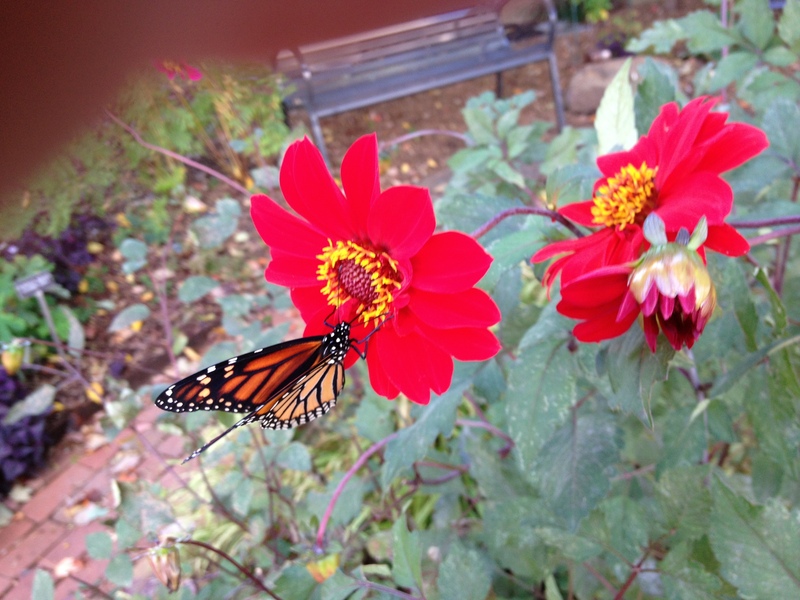 ‘Bishop of Llandaff’ dahlia with monarch. 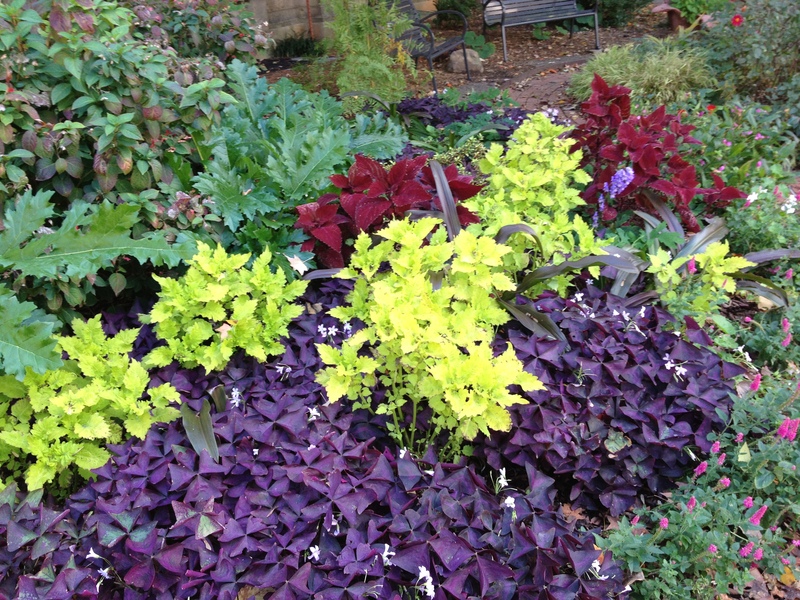 More beautiful combinations using coleus and purple oxalis. 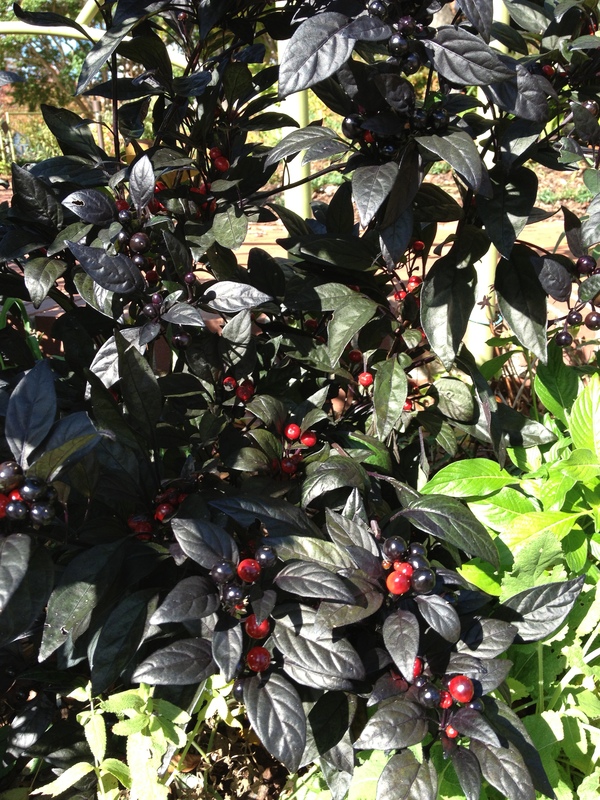 ‘Black Pearl’ ornamental pepper, used in several locations, was a standout among other plants. 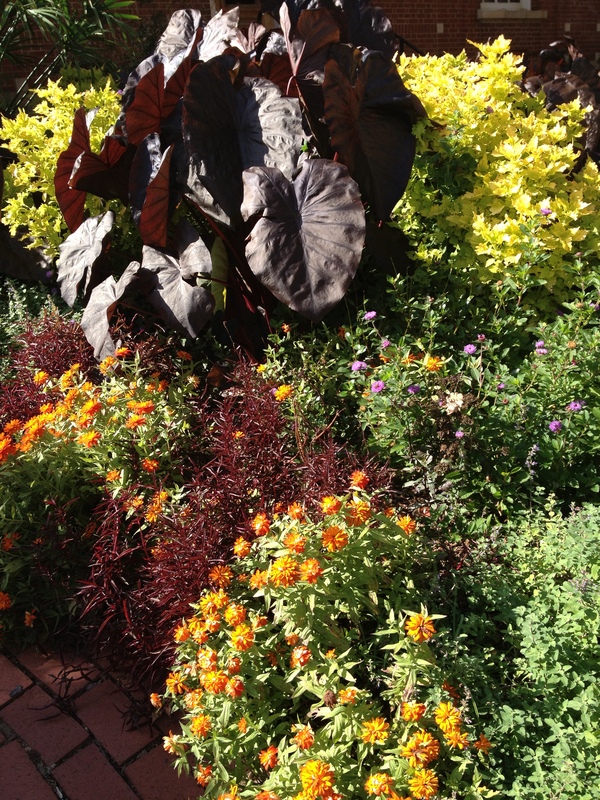 Black Elephant Ear, zinnias and coleus are bright and beautiful.